ABC has ordered eight episodes of a reboot of “Roseanne,” the network announced Tuesday. 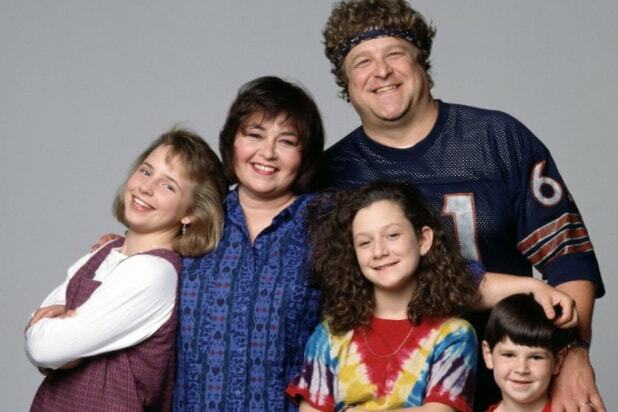 Roseanne Barr (Roseanne), John Goodman (Dan), Sara Gilbert (Darlene), Laurie Metcalf (Jackie), Michael Fishman (D.J.) and Lecy Goranson (Becky) will all return, and the show will premiere in 2018. Sarah Chalke, who also played Becky, will appear in a different role. “The Conners’ joys and struggles are as relevant – and hilarious – today as they were then, and there’s really no one better to comment on our modern America than Roseanne,” said ABC Entertainment president Channing Dungey said in a statement. See Roseanne Barr's latest POWER MOVE. The original “Roseanne” aired nine seasons from 1988-1997 on ABC and won 17 Emmys. The series followed the blue collar Conner family, trying to make ends meet in Lanford, Illinois. Goodman’s inclusion is an interesting development since the series concluded with the character of Roseanne revealing that Goodman’s character had survived a heart attack and the family won the lottery… which was all a dream. In the reality of the show, Dan did not survive the heart attack. The “Roseanne” reboot will be in good company with a plethora of other nostalgic properties which have come back to life, including NBC’s upcoming “Will and Grace” revival, Netflix’s “Fuller House” and “Gilmore Girls: A Year in the Life” and Showtime’s “Twin Peaks” reboot. The CW also has a reboot of classic nighttime soap “Dynasty” airing in the 2017-18 season. 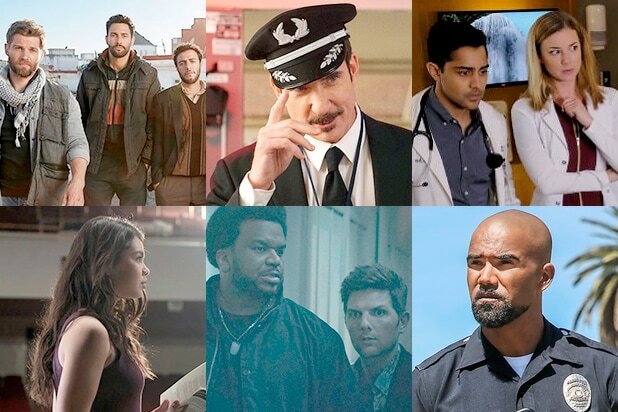 Here are the first photos from all the new TV shows that will be gracing your screens in the fall and beyond next season. NBC's "Reverie" follows Mara Kint (Sarah Shahi), a former hostage negotiator and expert on human behavior who is tasked with solving crimes in a virtual reality environment. NBC's "Good Girls" sees a group of suburban women, including Mae Whitman and Retta, who turn to a life of crime. Fox has ordered medical drama "The Resident," starring Matt Czuchry and Emily Van Camp. NBC's "AP Bio" stars Glenn Howerton as a philosophy scholar who loses out on his dream job and goes to work as a high school Advanced Placement biology teacher, and makes it clear he will not be teaching any biology. ABC's light drama “The Gospel of Kevin” stars Jason Ritter as Kevin Finn, who is down on his luck and sets out to save the world. Ordered straight to series, ABC once again teams up with Marvel on "Inhumans," which will premiere on IMAX before hitting the small screen. "The Crossing" (ABC) centers on refugees from a future war in America who seek asylum in a small American fishing town. "The Good Doctor" (ABC) centers on young surgeon Shaun Murphy (Freddie Highmore), who has autism and savant syndrome. He leaves behind a quiet country life to join a renowned hospital’s surgical unit, where he butts heads with his colleagues. On ABC's "The Mayor," Brandon Micheal Hall plays young rapper Courtney Rose, who surprisingly gets elected mayor of his hometown in California. Yvette Nicole Brown and Lea Michele co-star in the series. "Deception" on ABC is the latest from "Chuck" creator Chris Fedak and follows a down-on-his-luck magician who uses his talents with illusions to help the FBI catch criminals. Jack Cutmore-Scott ("Kingsman: The Secret Service") stars as magician Cameron Black. Based on the Danish series of the same name, “Splitting Up Together” follows a couple played by Jenna Fischer (“The Office") and Oliver Hudson (“Scream Queens”) whose marriage is reignited by their divorce. Emily Kapnek (“Suburgatory”) is a writer and executive producer, along with Ellen DeGeneres. “9JKL,” formerly known as “9J, 9K, 9L,” is a CBS Television Studios comedy starring and co-created by Mark Feuerstein (“Royal Pains”). It is inspired by a period in his adult life when he lived in an apartment in the building he grew up in, and he was sandwiched between his parents’ apartment and one housing his brother, sister-in-law and their baby. “Young Sheldon” (CBS) stars Iain Armitage as a 9-year-old version of the “Big Bang Theory” breakout Sheldon Cooper as he attends high school in East Texas. Based on the 2003 film of the same name, “S.W.A.T.” (CBS) hails from creator Aaron Thomas and stars Shemar Moore as a S.W.A.T. sergeant who is conflicted by his loyalty to the streets when tasked with running a tactical unit in Los Angeles. "Wisdom of the Crowd"(CBS) stars Jeremy Piven as a man who creates an app to solve his daughter's murder and revolutionizes crime solving in the process. "Me, Myself & I" follows a man named Alex's journey at three life-changing ages: at 14 (Jack Dylan Grazer), Alex at age 40 in present day (Bobby Moynihan) and Alex at age 65 in 2042 (John Larroquette). Fox comedy "Ghosted" follows a cynical skeptic (Craig Robinson), and a genius “true believer” in the paranormal (Adam Scott). The two are recruited by a secret government agency to look into the rampant “unexplained” activity in Los Angeles — all while uncovering a larger mystery that could threaten the existence of the human race. “L.A. to Vegas” (Fox) is an ensemble workplace comedy about an airline crew and the eccentric passengers who, every weekend, take the roundtrip flight from Burbank to Las Vegas with one goal in mind — to come back a winner. The new series stars Dylan McDermott, Kim Matula, Ed Weeks, Nathan Lee Graham, Olivia Macklin and Peter Stormare. Fox's Marvel drama "The Gifted" follows two ordinary parents (Stephen Moyer and Amy Acker) who discover their children possess mutant powers. Forced to go on the run from a hostile government, the family joins up with an underground network of mutants who must fight to survive. “Rise” (NBC), which hails from “Parenthood” and “Friday Night Lights” creator Jason Katims as well as “Hamilton” producer Jeffrey Seller, stars “How I Met Your Mother” alum Josh Radnor and “Moana” breakout Auli’i Cravalho. Based on the podcast StartUp, this untitled ABC sitcom follows Alex Schuman (Zach Braff), a brilliant radio journalist, husband and father of two who is about to do something crazy — quit his job and start his own company. He quickly discovers it’s going to be a lot harder than he thought. Braff stars, directs and is executive producer. NBC has ordered “Champions” to series. The show hails from Mindy Kaling and Charlie Grandy, who will write and executive produce. Kaling will also guest star on the 2017-18 show as Priya, an old high school fling of charismatic but lazy gym owner Vince (Anders Holm). Vince lives with his younger brother Michael, a gorgeous idiot, per NBC’s official description. Their simple life of women and working out is put on hold when Vince’s teenage son is dropped off on their doorstep by Priya.